We are a Perth family owned and run business which was established in 1996. At Prompt Glass, Perth Glazier, we have a team have with over 30 years combined experience in the glass and glazier industry. 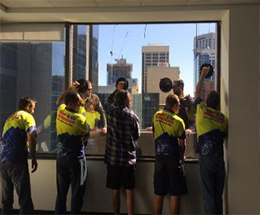 We specialise in a wide range of glazier services throughout Perth focusing on glass replacement for not only domestic properties, but commercial and industrial properties as well. Our professional glaziers are fully qualified with vast experience in the glazier industry, providing a wide range of services to clients in and around the Perth area. 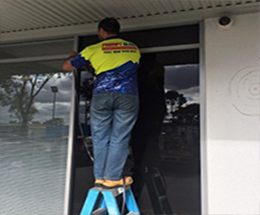 From window and door repairs and replacement to window tinting and security films, our experienced glaziers provide outstanding glazier services for residential and commercial properties throughout Perth. If you need a professional and reliable glazier at your home or business, our staff at Prompt Glass, Perth Glazier provide 24 hour emergency glass repairs and glazier services to our clients in the Perth area. Our glaziers aim to be at your Perth property within 45 minutes of your call, no matter what time of the day or night. 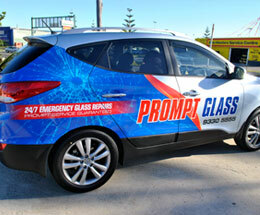 At Prompt Glass, Perth Glazer, we pride ourselves on delivering a fast and reliable prompt glazier service which will take some of the the hassle out of your insurance claim. Once you complete our one page claim form, we will do the rest and even give you a discount on your insurance excess on shop front windows, sidelights and doors. This means with us you get a consistently professional glazier job, on time and at the right price... guaranteed! We are recognised by insurance companies across Perth because we've been dealing with them for over 20 years. For your peace of mind, Prompt Glass, Perth Glazer, have full insurance including workers compensation and public liability that goes up to $20 million. We also have full Occupational Health and Safety Procedures in place because we take the safety of our workers, clients and the community very seriously. Our team are your trusted local Perth glaziers. No job is too hard for us to handle or small for us to take on, and our glaziers are highly experienced, clean and have excellent communication skills. So call Prompt Glass, Perth Glazer, first and we'll take care of everything as soon as your insurance claim form is filled out. Ask our friendly service operator for details when you call. For a fast 10-Minute Response Time in the Perth metro area for our professional glazier services, call our team at Prompt Glass, Perth Glazier, on 08 9330 5555.